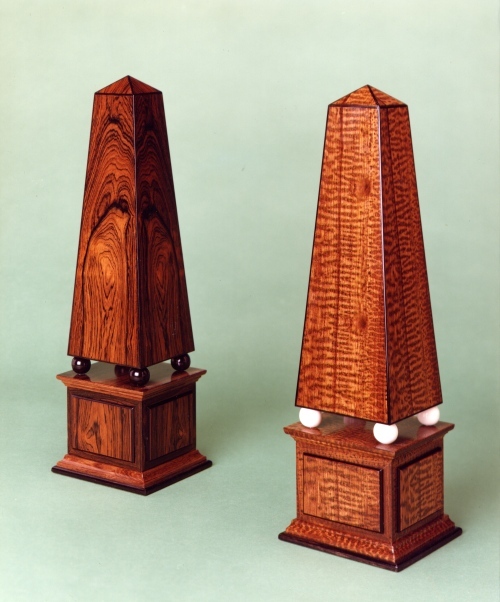 A pair of obelisks made to display the very fine woods used. strung in Ebony with antique Ivory pedestal mounts. Subsequently converted to table lamp bases for the client.